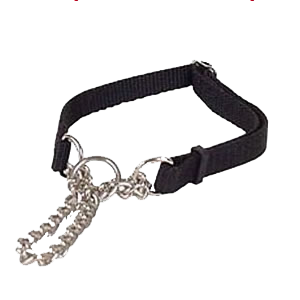 Check-Chokes are a limited-closure choke chain combined with a standard collar. 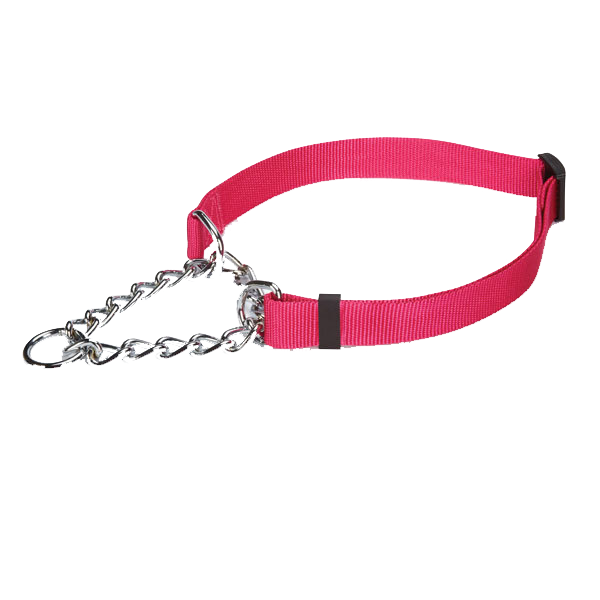 The Check-Choke is designed to offer pet owners an alternative to the alternative training collar or chain collar. 3/8 Item # 105420 fits 8" - 10"
5/8 Item # 105421 fits10" - 14"
3/4 Item # 105422 fits14" - 20"